Chord e ri clann a Chroileagan a bhidh gabhail pairt as a phosadh aig Uilleam agus Ceit. Bha na brataichean againn shuas, rinn sinn ceic agus dealbh mor mar a chi sibh. 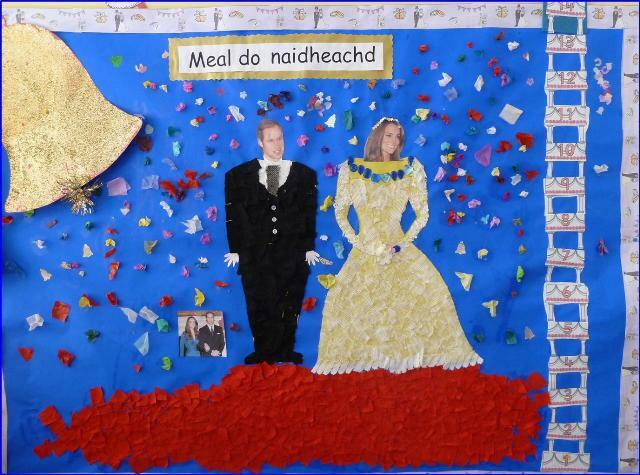 We all enjoyed taking part in the Royal Wedding celebrations. At our parents evening meeting it was interesting to see each others wedding albums.